Hi, my name is Alexia, and I’m an addict. A jewellery addict. My extreme obsession with jewellery, crystals and precious stones is something that most people who know me are well aware of – you will rarely see me without any jewellery, and being a wannabe witch and all, my bra (yes, my bra) is always filled with crystals of different magical properties. I have a genuine interest in the use of different stones and I am of the firm belief that there is no greater investment than jewellery (other than memories, of course). Simple gal, simple pleasures. Therefore, it was a great honor to be invited to a little private soiree with Theo Fennell last night, hosted by my own dear cousin Louise. 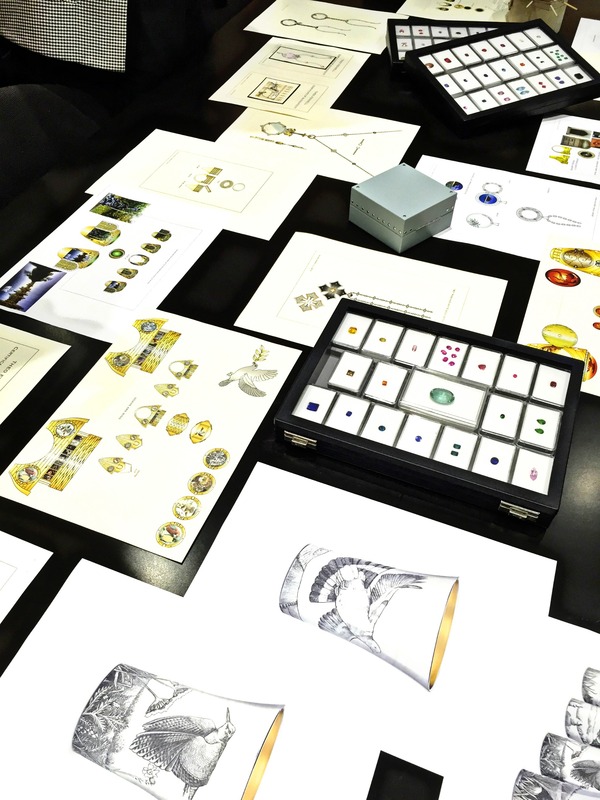 The Fennell is probably one of the most iconic jewellery designers around today, and getting a chance to look “behind the scenes” last night was truly amazing. 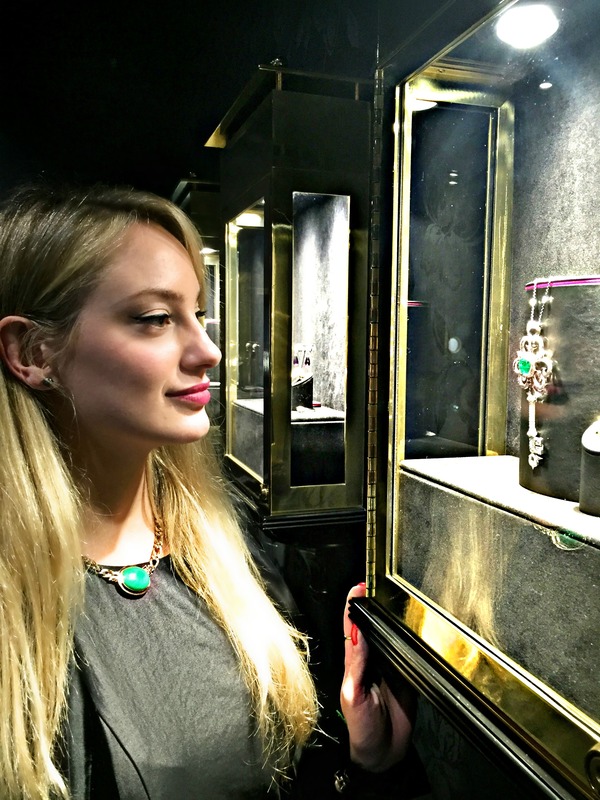 Guests were invited to drink champagne and browse for diamonds, mingle and try everything on (!) as well as come upstairs to the workshop, to see how everything is made. 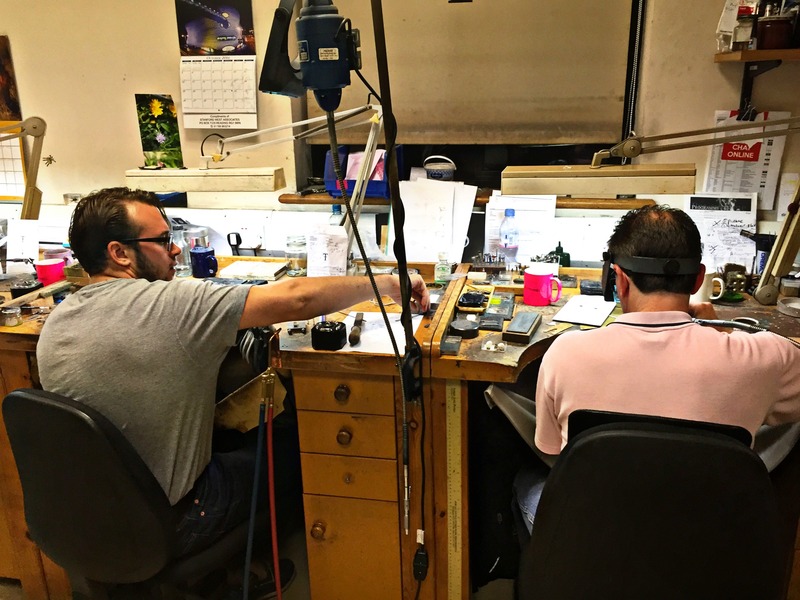 Mr Fennell has had the store here since 1997 and has since catered to a high profile clientele with a taste for the exquisite and experimental, using only the very best stones. It was cool to see his scetch books, and how an idea had grown from just a little scribble into a full fledged diamond bonanza. 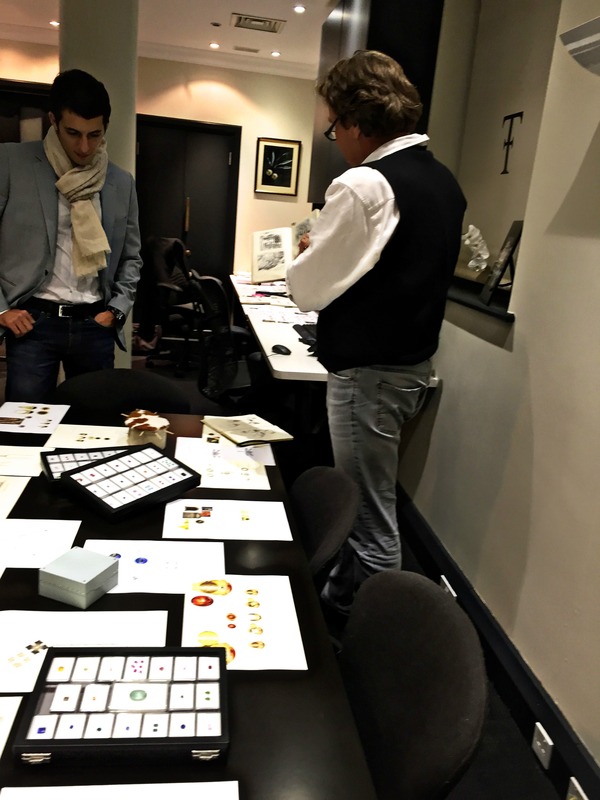 The speciality here is to cater to the individual, and looking at the mood boards for each piece gave me an understanding of the art of truly personalised, unique jewellery. The best thing about tonight was that we got to ask Theo lots of questions, and I obviously had a million of those… I was interested to hear that this label differs a lot from others in the sense that many women come here and buy jewellery for themselves, by themselves. The influence of powerful women is tangible in the store through and through – the walls are adorned with portraits of strong heroines such as Hedy Lamarr and Liz Taylor (all wearing Theo Fennel of course). Great, I thought, as I patted the place where my wallet ought to be. So, I’ll be back in like, a couple of years when I’m a bestselling author and buy all of it, just all of it? What do you say, you lend some to me in the meantime…? It is impossible to exaggerate just how skilled these craftsmen are – some of the details are so, so tiny! Upstairs, we were shown a ring that they’re working on at the moment, depicting the coliseum with two gladiators fighting inside. This work is so extremely hard to do, there’s only one person in the world who can, and when he works on the little figures (which are no more than a couple of millimetres high) he has to lower his heart rate to 30 bpm in order to do it, working with his own pulse as a tool. No caffeine for you, mister! The fantastic display of colour and craftsmanship in the store tonight had my head spinning and my heart drooling – for the love of stones, get me some of these. Mood boards, scotches and diamonds. A stunning opal – have never seen one quite so big and luminous on a ring before. An incredible ring depicting the garden of Eden – the top, featuring a coiled snake, opens up to reveal a red apple. The little “window” on the side opens up to show a picture of Eve. The key to someone’s heart. Or to someone’s bankruptcy? I wanna take them home… exquisite! Only for Hippies and Rabbits?